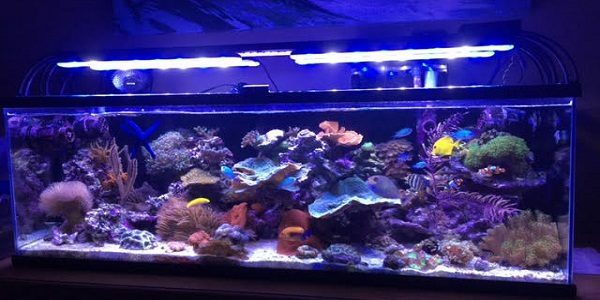 Taking care of an aquarium requires time and money; each element needs to be vigilantly analyzed, each piece of equipment cleaned, and each fish needs to be healthy. There are a multitude of devices to assist you in the process, but probably the most important one is the lighting system; if you have a good amount of light in your tank, the process will be easier. Naturally, before you choose a lighting system, you have to research your fish’s needs. If you try to introduce a bright light into a dark tank, the fish will not survive for long. Likewise,if the plants have too much or not enough light, they will be seriously damaged. Once you know the type of light your aquarium requires, BeamsWork LED Aquarium Light is a piece of equipment to consider for your needs.To begin with, this light is affordable, especially compared to similar high-quality devices on the market. The popularity of this lighting system lies in the distribution of its lights, one of the major features of this lighting system.Unlike only two large lights on most devices, the BeamsWork LED Aquarium LED has 174 LEDs distributed on a large surface. By distributing the light equally, every corner of the tank will receive adequate illumination. The BeamsWork light combines two different types of LEDs allowing the device to be utilized during both day and night. During the daytime, use the 6500K white LED to keep your plants healthy and algae-free, even if your tank is close to a source of natural light. During the night you still have to provide light for your fish, but at the same time ensure it is not too intense. The Actinic Blue 460 LEDs will provide a blue, shimmering light in the water. You will be surprised how the BeamsWork light can completely change the look of your tank. Another beneficial factor of this device is the LEDs are designed to last for years and there is no risk of burning after a few months of use. Even though the light is universal in size,the extendable brackets allow for use with larger tanks.Furthermore, there is a splashguard on the front of the light to protect the device from occasional douses of water. This device may appear to be difficult to maintain, but it almost takes care of itself. Since it only works with LED lights, it actually takes less energy than you would expect from a device this size; thus,the Beams Work Light may remain on all day long without increasing your electric bill by much. With the programmable timer,you can decide when you want to set the lights allowing you to completely forget about it and enjoy your beautiful tank. Many of the people who were satisfied with this product mentioned that it might not be enough for a heavily planted tank, so you should take this into consideration. 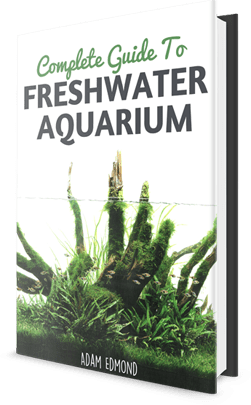 This lighting system is a great alternative to the classic light and it will make your tank look elegant, no matter what fish inhabit your tank. It has a modern and interesting look and will convert a simple tank into an extraordinary one. 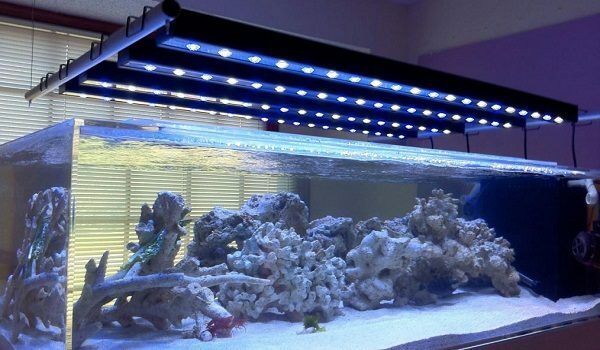 I have a full spectrum 36″ beamswork LED aquarium light. The power pack apparently has died and I’m looking for a replacement. Do you sell power packs? I do have a picture of the one I need. Do you sell light holders that will hold my beamworks da120 higher above the aquarium.